A new conservation area created by the Nature Conservancy of Canada has given nearly 8,000 acres of forests and wetlands along Lake Superior's north shore protected status. 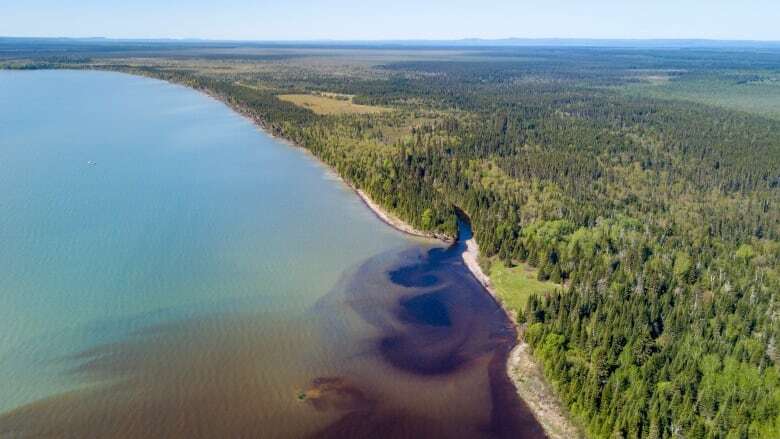 A new conservation area created by the Nature Conservancy of Canada (NCC) has given nearly 8,000 acres of forests and wetlands along Lake Superior's north shore protected status. The Black Bay conservation area covers about 3,200 hectares of coastal wetlands and about 4,700 acres of coastal forest along the Black Bay and Nipigon Bay sides of the Black Bay Peninsula. "It's a very diverse habitat," said Gary Davies, the NCC's program director for northwestern Ontario. "Within that area you've got very large, open wetlands." "There's moose, there's lynx, there's all the species you expect to find," he said. "Interesting plants, like pitcher plants and sundews. It's a really interesting environment." Davies said the NCC had identified the area as a worthwhile one to protect, and then purchased the lands. Now, commercial activities, like forestry or mining, won't be allowed in the protected areas. "We also steward that land," Davies said. "We monitor it forever, and that monitoring might bring us to have to deal with invasive species that get in there, before they become a real problem." "It also means engaging the public," he said. "The wetlands at Black Bay will probably lend themselves to maybe a virtual hiking trail. We're thinking about different ways for the public to benefit through education, through experience, though connecting with nature." The $3.7 million project includes support from the W. Garfield Weston Foundation and the federal government. "When you think about the Black Bay area, which is in my riding, this is an area that is rich in diversity of species, rich in diversity of geography," said Patty Hajdu, federal minister of employment, workforce development, and labour, who was at Friday's announcement. "So it's an area that obviously is very valuable to the community, and to the region." Davies said with the new Black Bay conservation area, the NCC has protected more than 15,000 hectares along the north shore, and more than 2.8 million acres across the country. He said the organization is "looking for those important bits of habitat." "We're not about sterilizing the landscape and protecting everything," he said. "It doesn't need that."